In the recent issue of Inroads Journal, political scientist Reg Whitaker compared the minority government that Lester Pearson led to that of Stephen Harper. In the past few months the Harper Conservatives have been warning the populace against the specter of a phantom “opposition coalition” that is bound to destroy civilization and all that we cherish in Canada. We should all be terribly afraid and head for the hills, they say. Throughout his time in office, Harper has treated Canadians like imbeciles -- and he’s doing it again. Conservatives are attempting to position their ballot question as a choice between a Conservative majority and a coalition government. At roughly 33 per cent, and with its demonstrable inability to competently govern this complex country, it is perplexing – and humorous – that Harper thinks he will be taken seriously in asking for a majority mandate. Most polls show that the Conservatives are in a statistical dead heat with the Liberals. The half-hearted attempt to instill more fear – something the Conservatives do well – and apprehension amongst Canadians is designed keep the base motivated. The very idea that Harper will get a majority is delusional and preposterous. Even the Conservatives don’t believe it. Canadians are sick and tired of this minority parliament, and they crave genuine change. The Conservatives know this. That’s why they have been veering far right and scratching the ugly underbelly of their base: their best hope is to cling to a minority. For Harper’s governing style, however, it’s all about how to scrape that very last vote in “target ridings.” To do so, he must by definition create East versus West tensions and throw a wedge between men and women, the educated and the ignorant, and Canadians and those hoping to become citizens. Harper’s strategy requires that fear be used as a blunt instrument and that misinformation and outright fabrication be carpet-bombed into the consciousness of voters. There are a few fundamental facts of our parliamentary system. In the House of Commons, the agenda and tone is set by the prime minister, who is the leader of the governing party. His cabinet follows that lead, as do his backbenchers (particularly under Harper). Opposition parties respond to government proposals and legislation. And sometimes in the cut and thrust of what passes for parliamentary debate, common sense is pushed to its limit. But there is no doubt that the tone, style, comportment, debate, and agenda in the Commons is established by the prime minister. Since Harper became prime minister almost five years ago, the environment has been toxic. Is that an unfortunate coincidence, or does it say something about the conduct, attitude, and agenda of Harper and his Conservative Party? On the first day of the Harper administration, two incredible flip-flops occurred at Rideau Hall which jarred the political world. The first was the appointment of Michael Fortier, a Harper campaign manager, to the Senate and to the cabinet. The second was the stunning appointment of David Emerson, who days before had promised to be “Stephen Harper’s worst nightmare,” to the cabinet. As these two men (both of whom I know personally, like, and respect) were being sworn in, we caught our first real glimpse of Stephen Harper as prime minister. It was the first of a great many u-turns: in both cases, Harper did something that he promised he would never do. That’s been his consistent and unbending pattern for almost five years now. Our House of Commons has been shamelessly debased by the tactics of Stephen Harper and his Conservatives. For the past five years, this has been a dysfunctional parliament. But who bears the responsibility for that? Minority parliaments have historically worked well in Canada. A precondition was a prime minister who set a constructive tone and who respected the institution that he is sworn to serve with honour. Sadly for Canada, that key ingredient has been sorely missing since Stephen Harper stepped into 24 Sussex. 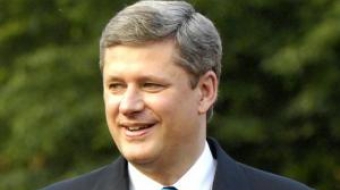 Stephen Harper a political careerist. And political careerism is based on short-term expediency in the pursuit of long-term survival. It stresses political survival at all cost. Responsible government, fiscal prudence, and the national interest be damned.